Change the system, a consequence or a cause? The Change the System show left a feeling of good-willingness. A presentation of their good-willingness towards the world, and how they want to change the system with the use of their work. With this the show can be placed on a long list of strongly socially-engaged exhibitions. Going with the hype is one thing, but using your work as a tool to change things is another. This has everything to do with the relationship between the work and the maker, in relation to the work itself. When I came to discover that Martin Margiela is known for, besides of course his designs, his strong opinion on the importance of the separation between creation and creator, I knew that this would be a subject that I would like to address in relation to the show in the Boijmans. In the ‘Change Maker’ show was a strongly visible parting between the participants; those who want to use their work to change the system and those who change the system as a consequence of their work. This was something I could immediately feel when seeing the work. By giving a work a certain expectation, a goal, the central point, as it were, drifts towards a purpose and away from the work itself. You will always end up with following the ethic, the moral. Because of that the end result is always limited, it will be something you already know, something everybody already knows. In a way propaganda. For me, the function of an artwork can be connected to the function of a dream. This raises the question: what do you get from a morally correct dream? That is the reason why it is so tricky to use art or design, if you want to make that distinction, to reach a certain goal. Reaching for a certain goal, apart from the work itself, is like starting from the opposite direction: first the shape is made, where later is made an attempted to insert a tenor. But in the end it feels like only a shell remains, which never had a content. Richard Serra made a clear comment about this issue when he was told that his work was not socially engaged enough; “art doesn’t need justification from outside”. To go a step further, you will kill the power of an artwork by making it justificational. The motivation of doing this can be multiple things; with a lot of these kind of socially-engaged artists their own ego plays a big role, in the sense of: yes, also I am concerned about global warming and the extinction of all kind of animals. And others have financial motivations; one way to have a lot of shows these days is by presenting yourself as the engaged artist. This became clear when doing some general research into the participants, an image-search on the participants, no works came up, just the nice promotion pictures of their faces. Is it for creator about making a good chair, or is it more about other things and is the chair just a tool/consequence of those things? And how important is your work to you if you put you self in front of it? 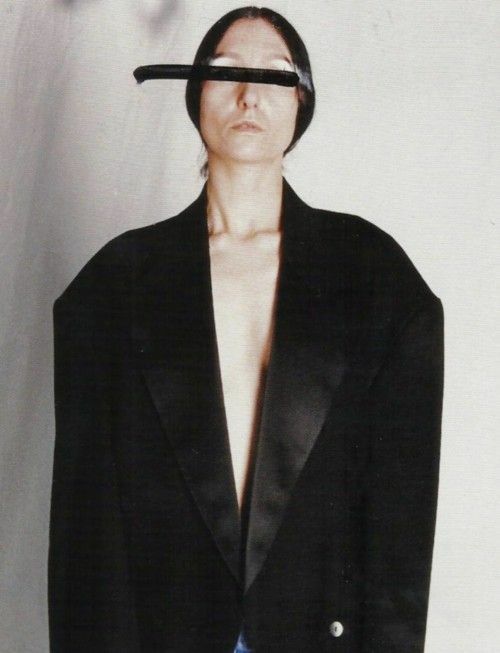 Martin Margiela also saw this; at a certain point in his career he decided not to talk to the press anymore and not to appear in public again. 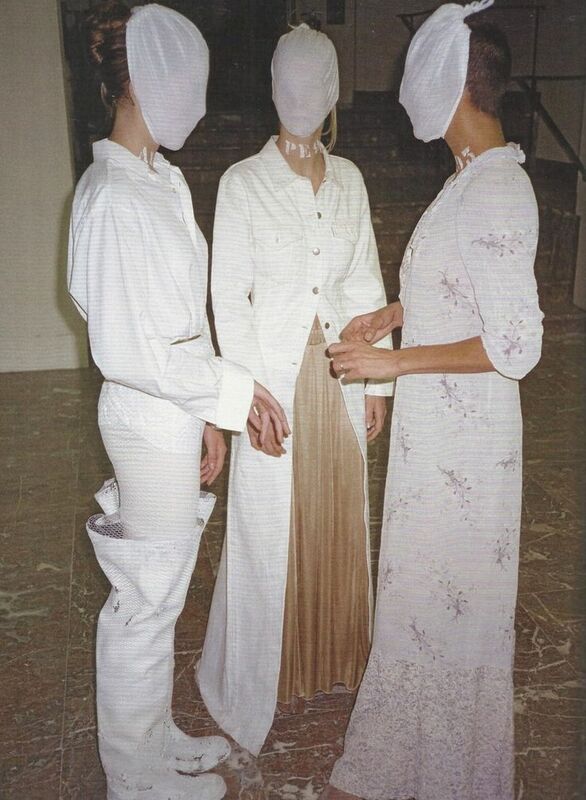 For some the statement was simply seen as an advertising stunt, but Margiela did not care about that, it was the content of the interviews that bothered him. For him, interviews had to be about the collection, not about Margiela the person. Only what he created was of importance, only that, not the man or goal behind it, the work stands on his own. The attached publication photos have an obvious connection to that standpoint. By leaving the models in anonymity, the attention is drawn even more to the designs. (We Margiela, the just released documentary about Maison Margiela and their way of working can be seen [here]). Margiela did things that were never done before, but not because he wanted to be a changemaker. Margiela’s works are ground-breaking, because of the steps he took he found necessary for his work. With this Margiela belongs to the other kind of participants in this show. The contribution of these artists and designers made the exhibition interesting as a whole. With the changemaker show, the Boijmans van Beuningen makes, consciously or unconsciously, a clarifying distinction in a long tradition of border-seeking artists. This text is not only about my research into Martin Margiela and his view on the relationship between the creator and the creation, but also a research about my personnel point of view. The further I went in the research on Martin Margiela, the deeper the research into my own ideas developed. Two focus points that together form one research. The work of Margiela got me thinking. Thinking is one of the things I always hope that art can offer me.